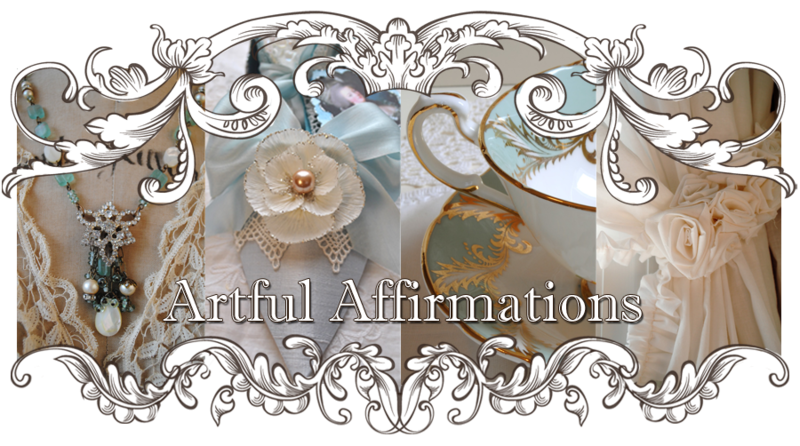 Artful Affirmations: A New Year and a New Cup! Tea Cup Tuesday! Lovely first of the year post! I do mean to link up sigh haven't got there yet. Wishing you many more lovely Tea cup Tuesdays in 2011! 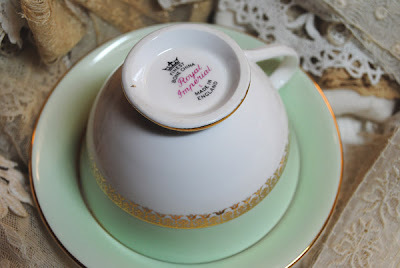 Looking forward to your response to my FHC post for this 1st Tea Cup Tuesday :) ... Happy New Year! Oh my,I almost fell over when I saw your sugar spoon! 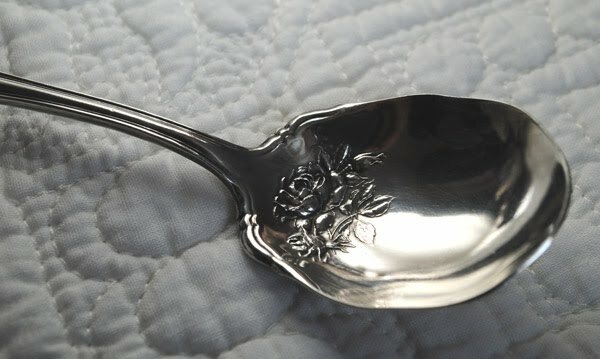 I have a large, silver antique serving spoon that looks just like that. The shape and everything. 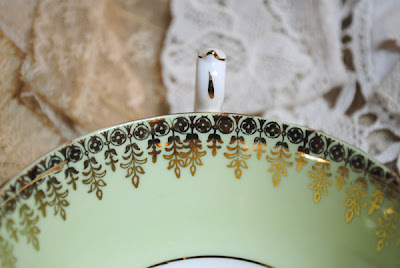 I adore reading about your teacups, and this one has its mystery, I love to image who made it and who bought it, for who... why, was it at first a present? And now it is at your place and we are all admiring it all over the world, isn't that fantastic? The "miracle" of Blogland... Have a nice day! A new year and a new Tea Cup...I remember when I met you the first time...and my first Tea Cup...Since then Tuesdays have become a very especial day for me showing my tea cups and watching yours,I enjoy doing it ! I love tea with jam and toasted bread too! Oh Love new cup hun. The spoon is delish can't join in as I have shared all my sups but I still love having a look around. Love your new teacup! Great post. 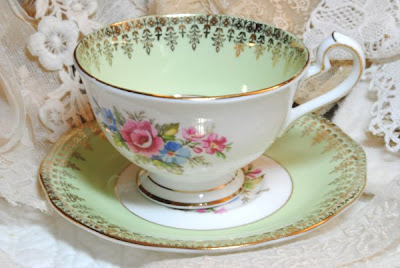 I am looking forward to seeing more beautiful teacups in 2011. Terri, what a lovely cup and saucer! I especially like the colors; seafoam green and the flowers are wonderful. It really is fun to see all your delightful teacups. Happy New Year Terri! What a lovely cup. Congratulations on reaching the 700 mark! Lovely cup! Royal Imperial is not listed in the standard British pottery ID sources like Kovel's or Goddens so I think it is a mark used very recently by a small potter. Since the late 1950s, anyone can patent a name with Royal in it and it doesn't mean royal patronage. Potters like it because it sounds better! Thanks for sharing your lovely teacups. I have started my new blog today so i can share my teacups too. I hope some of you other china collectors enjoy popping by! 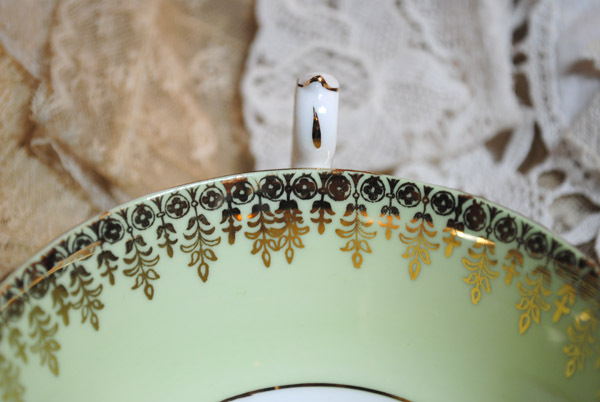 Happy New Year and Happy Teacup Tuesday!!! I love both of your gorgeous teacups today, but the last one has just captured my heart. I think it is the berries that I find so blissful! I would like to thank you for giving me much encouragement over the last eight months since I began blogging. I truly appreciate it. 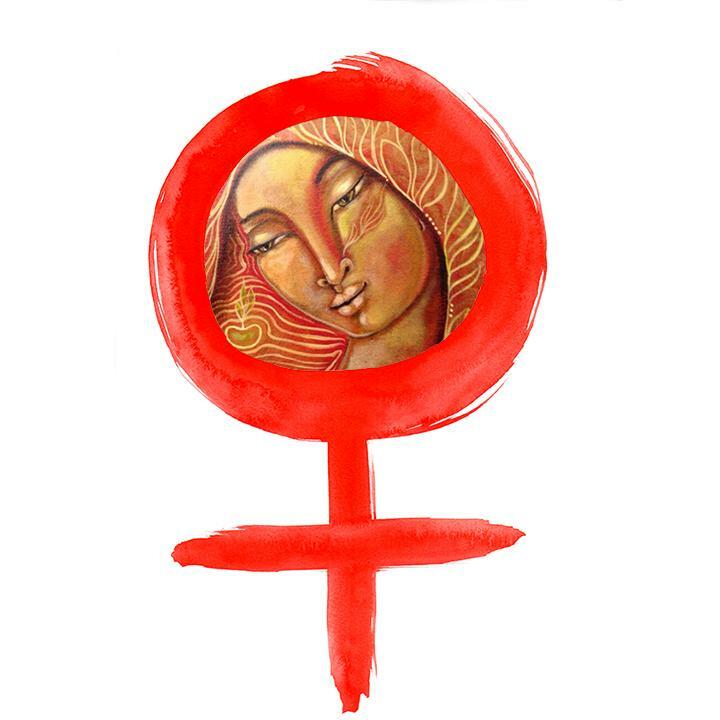 Teacup Tuesdays have enabled me to make friends with many like-minded women from all walks of life and in many places on Earth. 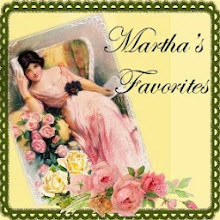 Please drop in to my blog for a cup of tea, some treats and to sign up for my very first give-away!! You really take the loveliest photos that remind me of my old Victoria magazines. Just glorious. this cup is so sweet. the design inside the cup makes you happy to drink the tea to see it, right? Where do all these teacups reside?? You are certainly starting off 2011 Teacup Tuesday with a gorgeous cup. I really like the pale green color and all that gold filigree. That is a pretty sugar spoon. Santa brought some Natural Honey Crystals and I find them very good in tea also. I see why this cup makes you happy, it is so pretty and cheerful, I am sure it could brighten any day. Love the spoon too. I have a small collection of spoons also. The handles and embossings in the bowls are just so appealing!! Thanks for showcasing your lovely teacup, Terri. And the sugar spoon is charming. I used to sell on ebay but have switched to etsy. 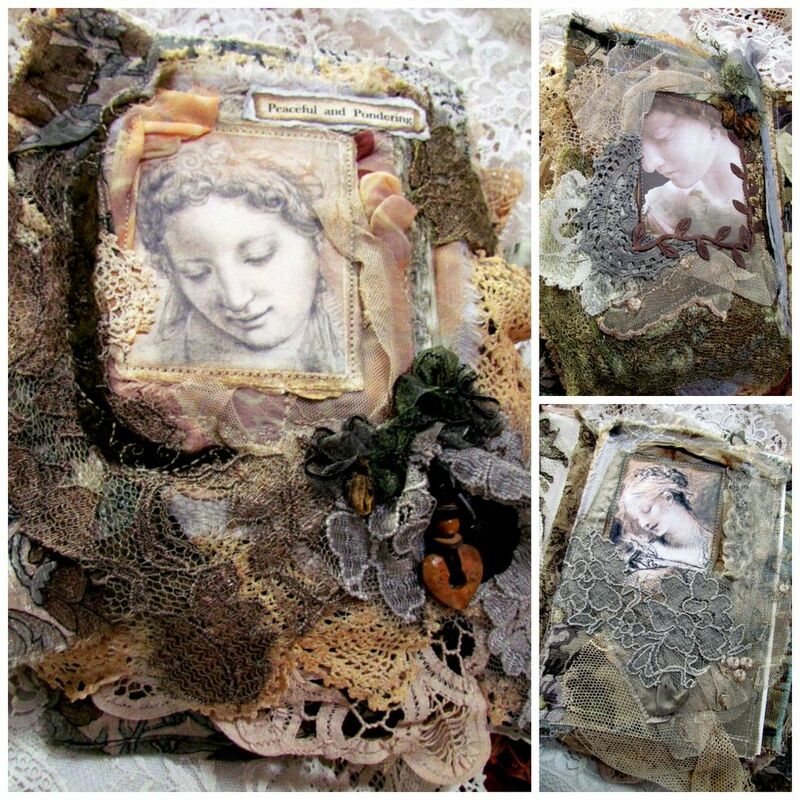 It's so fun sharing past treasures. Thanks friend for the sugah! Divine really! blessings. Your teacups are wonderful as always! 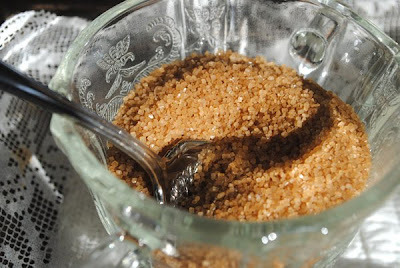 Love your sugar spoon; so pretty! It's always a pleasure to visit you for tea. Have a lovely week. Such a pretty tea cup! I like the second one with the fruit very much as well. Interesting history lesson, too!! That is a darling teacup Terri. I love the flowers and the soft green color. Tea with jam and bread made me think of the Sound of Music - not that song is going through my mind - not a bad one at that! Happy Tea Cup Tuesday! Your new one is a BEAUTY! 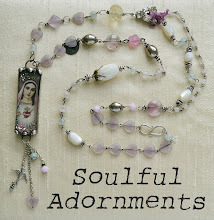 I look forward to more of your gorgeous creations in 2011 Terri! Terri...such a beautiful post..and I agree..such a joyful cup...gorgeous!Thanks for all the inspiring tea posts...I have so enjoyed them and will continue to......I only wish i had some to share! Fabulous shade of green,peaceful and soothing...beautiful cup too! sorry,but this beauty is a mystery to me too! Just wanted to say 'hello' today, and to say thanks for inspiring joy. I love your beautiful teacups Terri! Especially the sweet green one, it's such a pretty spring color! I came back for more...I really do enjoy these two cups. I like the bouquets on the bottom of the inside of the cups...something pretty awaiting you with your last sip. The colors of the bouquet in the first cup go so beautifully with the seafoam green;very tranquil. Thank you for your comment on my recent post. I didn't mean to mislead anyone, but the photos on the Jan. 7th post are not from my collection. At the bottom of the post I mention where I got the photos from. 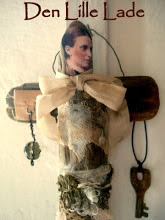 But I do have a some pretty pieces I think you will enjoy. I'm saving them for February. Oh how I love bread with butter and jam. Yummy. 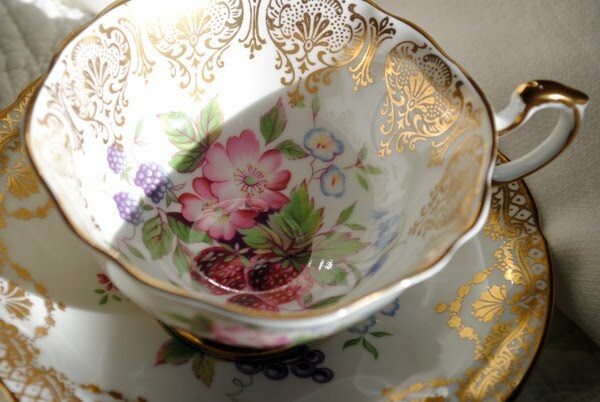 Another of so beautiful tea cup for me to drool over. 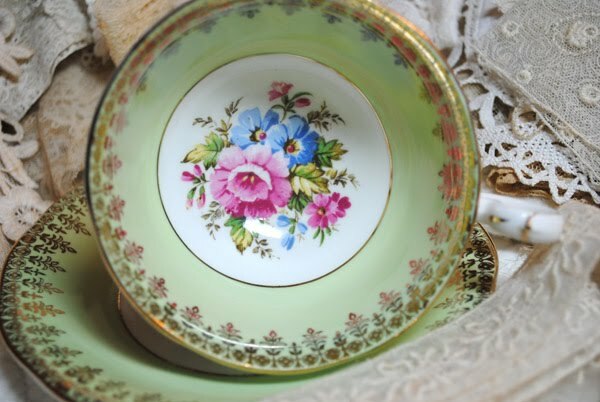 another stunning teacup you have that is very captivating! i love the colour and the posies on it.. another must find teacup for me! thanks Terri! you inspire me so much! love it! nice to meet you.You have a lovely blog. Happy 2011! I'll be back soon. 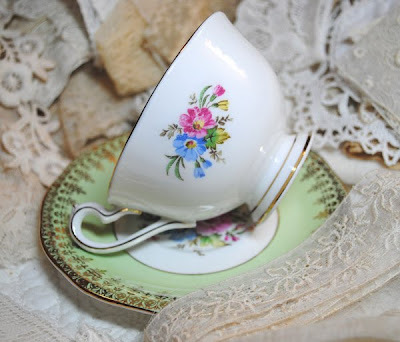 Love your blog.....I secretly wish to own a Tea Room and am in love with your tea cup. Just found your blog and have now become a follower. 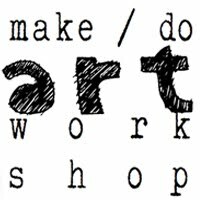 Also wanted to let you know I will be adding you to my blog list. I'm having a valentine giveaway and hope you can enter. Hi Terri, Happy New Year! Lovely cup you are sharing. 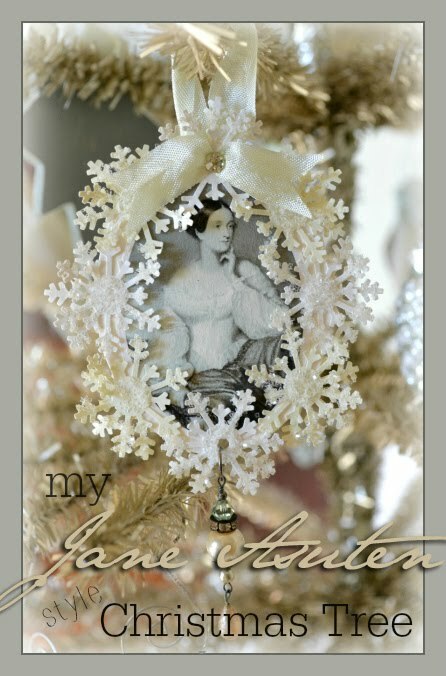 I saw that you were featured in Paper Whimsy's Newsletter for your banner tutorial! 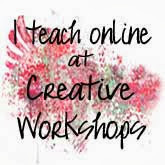 I like your blog with those wonderful tea cups,and i love your tutorial video,s i,m not finisch look around. A happy new year. What a beautiful tea cup Terri. 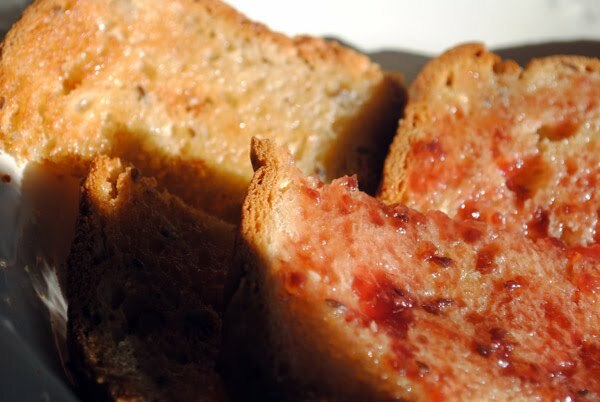 I'm practically drooling over the jam and bread though! :) Just wondering if I have to have a matching saucer to play. 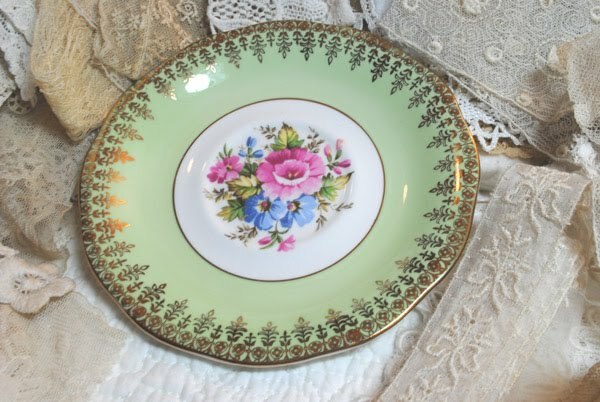 :) I have some pretties to share, but sadly my collection has no saucers. 1, [url=http://www.onlinecelebrexdeal.net/]Celebrex Online[/url] - Celecoxib 200mg - order celebrex http://www.onlinecelebrexdeal.net/. 6, Nexium Online - Nexium Price - nexium medication http://www.nexiumpricewatch.net/ .